CAFE IS PERMANENTLY CLOSED. ONLY YOGA SAILING WILL BE HELD SELECT DATES IN JANUARY -MARCH 2019. We hold our classes at the cozy open air studio next to the sea, away from the noise of the busy streets. This is a Vinyasa class suitable for all levels and first=time yoga students. We are all about well-being and connecting with nature in a fun and inspiring community. We have certified and experienced yoga teachers who will guide you through safe teachings, in a dynamic class. Expect to walk out of class feeling transformed, radiant and relaxed! Please arrive 5-10 minutes before class. Includes: Mat rental. We also have an outdoor shower for after class. You have the opportunity to enjoy sailing the Gulf of Thailand and practice yoga on a beautiful island. We set sail from Koh Chang, Bang Bao pier with a maximum of 6 students. Everyday depending on the weather and the wind, the captain will take us to the best beaches and spots in the area. We will enjoy a 90minute morning practice on some of the most beautiful beaches, and then we will sail along enjoying the sea. YOGA SAILING SCHEDULE MARCH 17! or March 31! PRICE: 3000 baht per person, includes, taxi-pick up, light breakfast, lunch, yoga class and mat rental . Free time for siesta, swimming, relaxing or socialising and exploring other island based on the wind direction. We offer one day retreats a few times a year. A daily itinerary is below. If you are interested in joining any of the dates, please write us to confirm your spot. A former Advertising Executive in New York City, Natalie set out on a solo backpack journey through Central America and Southeast Asia for over a year and a half. She met a lot of inspiring people in small coastal towns who owned small business while building a conscious community through food, nature, sea, and happiness for all beings. After a year traveling, she left her city job and city life for the ISLAND LIFE! She is the lead yoga teacher at AIRE, 500hr RYT with the Yoga Alliance. 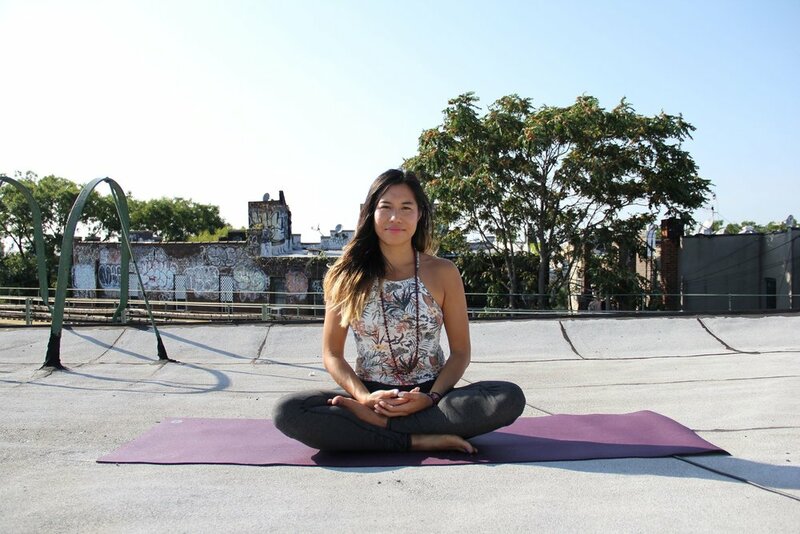 She studied under the guidance of Sonic Yoga in New York City for her 200hr YTT. And completed her 300hr YTT with Zuna Yoga in Ubud, Bali, Indonesia. At AIRE, she offers Hatha. Vinyasa Flow yoga and Restorative yoga with emphasis on breath, movement, and stability. Additionally she holds a Level 1 certification in Thai Massage Therapy with Wat Pho Traditional Medicine School in Bangkok. 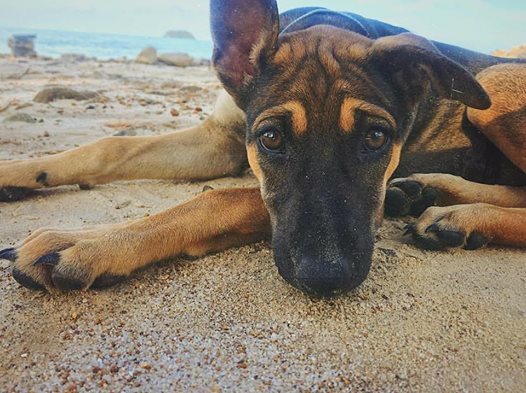 A rescue puppy found in the dumpster of Bang Bao on Koh Chang. Luna is the cafe's friendly dog, who helps around the shop as needed and makes sure everyone is doing happy. Sometimes she joins our yoga classes and jumps into the ocean for a cool down.